This post, written by C3’s Ina Andersson, is based on a piece of work carried out by C3 creating case studies showcasing workplace health initiatives across a range of companies and organisations. You can read these case studies through our blog. In 2006, Birmingham City Council (BCC) decided to implement a new employee-engagement strategy based on its core values of Belief, Excellence, Success and Trust (BEST). After three years of the BEST programme, major improvements in staff engagement levels could be seen across the organisation. BEST officially finished in 2009, but the BCC has sought to build on its legacy and continues to actively engage its staff. An Ipsos MORI survey carried out at BCC in 2006 found that staff engagement was the lowest ever recorded. Only 56% of staff said that they felt motivated in their job and less than 25% said they thought the council was managed well. Employees felt a high level of demotivation in their jobs. They reported a lack of understanding of the council’s core objectives and how they could contribute to them. The council was determined to buck this trend. BCC implemented a wide-ranging employee engagement programme, built on the council’s core values of Belief, Excellence, Success and Trust (BEST). The aim of the BEST programme was to strengthen the psychological contract (which represents mutual beliefs, perceptions and informal obligations) between the council and its employees, as well as improve overall levels of motivation and empowerment. BCC also wanted to shift behaviour in the council towards taking responsibility, making improvements and inspiring each other. The three core objectives of the programme were to improve team work across the council, both how individuals work together within teams but also how teams work together within a given area or directorate; to improve partnership between the council and other organisations such as the NHS, police force and private-sector organisations; and to improve customer service by devolving decision-making and empowering teams to take responsibility for the way they deliver services. Once BEST finished in 2009, some of the engagement work continued but, no longer came under the BEST banner. At all BCC office locations and in the field. When the BEST programme ran, BCC had around 25,000 staff (not including school staff) who were all included in some way. Since then, circa 10,000 employees have been lost, but current employee engagement strategies still seek to involve all members of staff. The BEST programme was designed and implemented for three years from 2006 to 2009. A new employee engagement strategy is being designed and implemented from 2016 onwards. The design and delivery of the BEST programme was commissioned by the chief executive in 2006. At the programme’s core was an annual compulsory workshop for all teams, which was designed to give teams as well as individual employees a voice and empower them to make improvements within the parameters of their team and role. Each workshop started with the identification of a BEST leader for each team. These leaders were never managers, however, as the idea of the programme was that it was led by employees, not managers. In this way a range of staff got the chance to build leadership skills and it also gave them a sense of pride in and commitment to the programme as well as their workplace. In the first year of the BEST programme 1,800 BEST leaders were trained in workshop delivery. The values of Belief, Excellence, Success and Trust were used as a measurement of success in the workshops and teams explored these values and scored themselves against them in order to then generate actions they could take to improve their score. At the heart of each BEST workshop was an open team discussion where staff considered their score and based on this agreed on three or four achievable actions to help improve their team working, customer service and partnership working activities. Following the initial workshop, the team met again six weeks later, then also six months and a year afterwards to discuss and reflect on their progress. Employees were also encouraged to raise BEST issues at each team meeting in order to drive the process forward. To address cases where teams lacked the money or contacts necessary to implement the changes they wanted, BCC organised events where teams could pitch their business case to a panel of senior managers and cabinet ministers. Teams had the chance of being awarded up to £1,000 to turn winning ideas into reality. The BEST leaders network continued after the programme had finished in 2009; however, the other parts of the programme were dropped. In 2013/14, the BEST leaders were refreshed and renamed Forward Champions. Not all previous BEST leaders became Forward Champions, but some did continue in this new role. The Forward Champions are called together four times a year and are made up of a cross-section of people, for example managers, and frontline and operational staff. It is important that Forward Champions cover the full breadth of BCC employees – from city planners to refuse collectors. 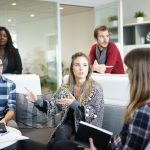 They share what is going on within the organisation and within their teams, and then feed back to their colleagues about the strategic aims of the organisation. The Forward Champions play a crucial role in the drafting of BCC’s new employee engagement programme ‘Making a Positive Difference’, in which employees are encouraged to think about the ways in which they make a positive difference every day to the lives people of Birmingham. As of 2009, the 1,800 BEST workshop team leaders had trained and run workshops for a further 23,000 staff. More than 75% of staff who took part in the BEST workshops said they felt more engaged and motivated at work. The percentage of staff who said they felt motivated in their job rose from 56% in 2006 to 83% in 2008. In 2009, 90% of staff reported that they felt ‘proud’ to work at BCC, up from 50% in 2006.
a Christmas event for Birmingham’s Polish residents organised by a BCC community library. In total, the BEST programme generated over 6,000 innovations and service improvements. The estimated productivity gains were £6 million. BCC also won ‘Outstanding Employee Engagement Strategy’ at the 2009 HR Excellence Awards. After the BEST programme finished and due to the number of redundancies, budget cuts and external reviews, employee engagement has dropped again. In the staff survey from 2015, 53% of staff agreed that they felt engaged whilst 22% said they did not. 25% said they felt somewhat engaged. BCC hopes numbers will increase again with the implementation of a new strategy (see below). 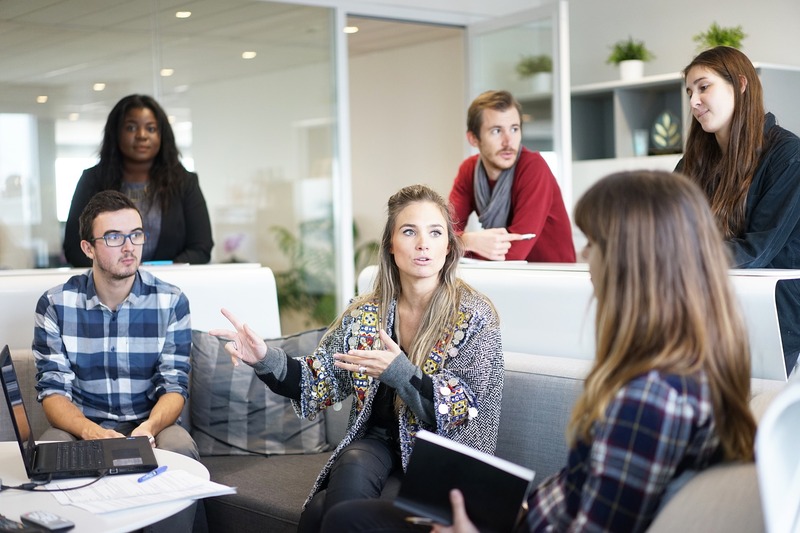 One of the main challenges have been keeping the employee engagement efforts fresh and engaging, as things are changing rapidly within the organisation itself the programme needs to be able to keep up. Since the BEST programme was launched, around 10,000 jobs have been lost from BCC so any employee engagement work needs to be considered against a backdrop of insecurity and funding cuts. It has been challenging to keep employees engaged when some may be worried about their jobs, therefore feeling de-motivated. During August and September 2016, BCC held nearly 60 workshops with managers from across the council. The outcome of these workshops along with feedback from Forward Champions is shaping its new employee engagement strategy ‘Making a Positive Difference’.